Las Piñas to Lupao Nueva Ecija using 5 Elements VHF/UHF Dualband Yagi modulation with Manong Charlie and Manong Leopard from Lupao Nueva Ecija at 144.200Mhz. Dualband Yagi designed by Panda Antenna TX signal is 5 by 4 using Yaesu 2900R at 60watts power output (no booster) a total of 151.61kms air distance and receiving at 5 by 3, 5 by 2, typical reciprocity in signal strength. Boss ano po antenna ng sa kabila? Single stack yagi or twin stack ang gamit mo? 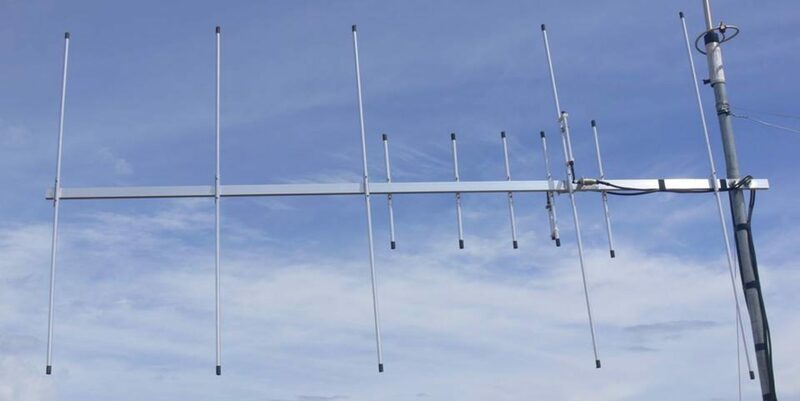 Dual band 5 Elements VHF/UHF yung mahaba, sa kabila naman ay single band VHF Twin Yagi – vertical stacked.